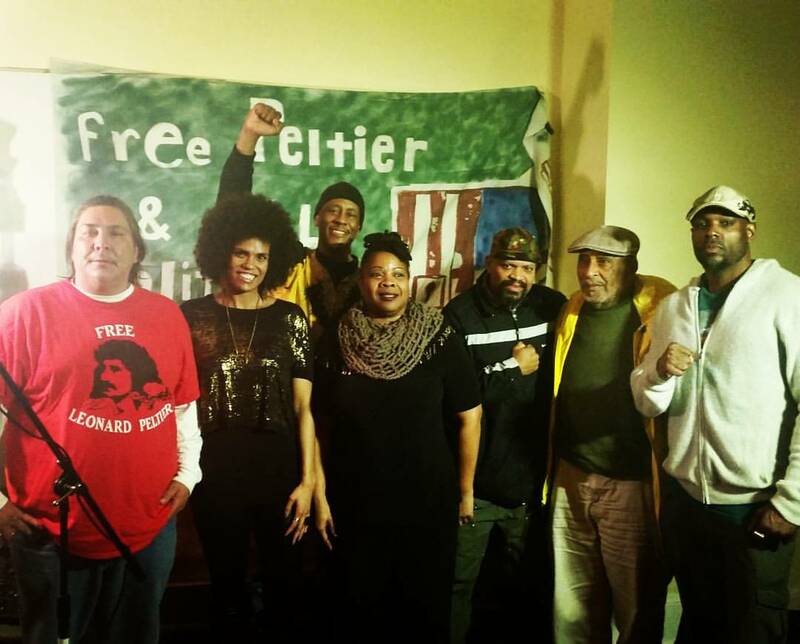 Event at SJAC: Free political prisoner Jalil Muntaqim! Left to right: Chauncy Peltier, Walidah Imarisha, Ahjamu Umi, Blaque Butterfly, Mic Crenshaw (SJAC board member), Kent Ford, Mike Libretto Jackson. Credit: Adam Carpinelli. Update 10/6/2016: YES! Together, we did it — we made the minimum needed to #SaveSJAC. Now, let’s keep the momentum going to ensure we have the best mortgage possible, and grow the programs that SJAC is so well-placed to offer movement-building in the heart of Portland. Click here to learn more about our next steps. Thank you, Portland! Upscale blight getting you down? Then help us! SJAC is threatened with foreclosure. But we have the opportunity to save the building for good! To do it, we need community support to raise $20,000 by October 5th. Let’s buy this building — protecting this invaluable resource from rent spikes and the whims of landlords — forever! Si, se puede! Marginalized communities are being pushed further and further from the heart of Portland, and from each other. The Social Justice Action Center (SJAC) is a community organizing and low-income housing non-profit committed to remaining a central, accessible location for grassroots gatherings. Located on SE 12th and Oak, SJAC has over the last year provided a wide variety of groups low-to-no cost use of the space: KBOO, Portland Tenants United, Native Narcotics Anonymous, the Colombia Solidarity Group, Jericho political prisoner support, Strike Debt, the Jacobin reading group, and many more. For a limited time, we have an option to buy the building for well below market value. We are on track to secure the bulk of our financing, but we need your help for the down payment. Make a donation to our capital campaign (or use this direct link to our crowdfunding site)! This contribution* is an investment in the grassroots future, and is crucial to demonstrate to lenders that we have widespread community support. Make a mortgage-backed personal loan to SJAC for a larger sum, on favorable terms! Spread the word to your friends and family. Use email or social media — Facebook, Twitter, Instagram, Snapchat, Pokemon Go (lol). Whatever works, get this opportunity into the hands of as many people as possible. * To be sure it’s tax-deductible, make your donations via our fiscal sponsor, the Alliance for Global Justice. See https://sjacpdx.org/contribute for more. The building we’re buying was built in 1873 and according to local stories was a safe boarding house for women. More recently the ground floor has been used as a series of restaurants, while the upstairs houses primarily POC and/or queer low-income residents. For over a year, SJAC has been running programs supporting our purpose of supporting marginalized groups building grassroots power amongst themselves and with each other. Our board and advisory council include prominent and respected members of these constituencies. SJAC now has the right to buy the building. We are seeking $100,000 in personal mortgage-backed loans at 0-4% interest, and $30,000 in direct contributions to support the purchase. The remainder will be financed through a local credit union. We hope that many of our capital campaign supporters will become monthly supporters at the level of that “cappucino or three”, allowing us to grow our organizing to scale with the need! Request our business plan and pro forma for more details. ← Spring Gathering and Open House!